"if a language designer fails to understand those reasons and blindly goes for standards-compliance, they won't just reap the benefits; they'll also propagate and entrench the existing defects." Replace 'language designer' with 'programmer' and that's my whole philosophy in a nutshell. In fact, I'd like to even generalize this past software. 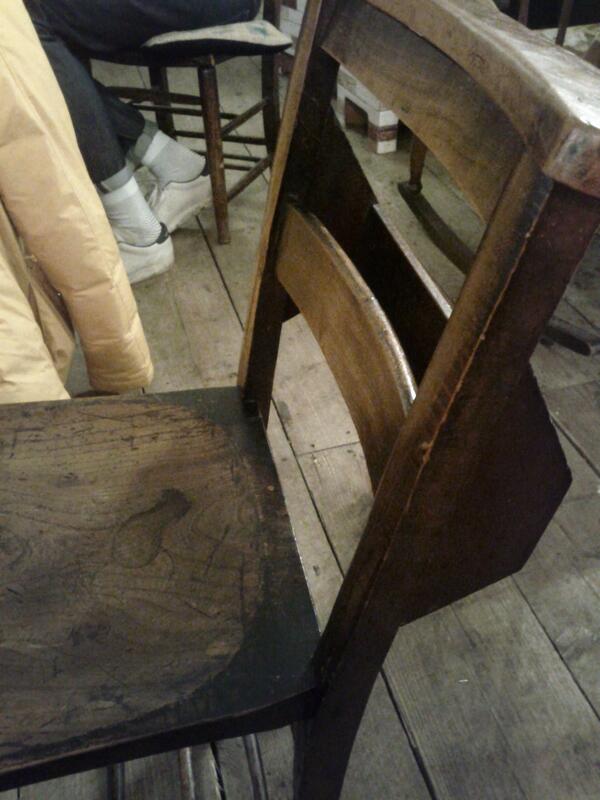 I was in London over the break and found this really cool looking chair everywhere with a pocket in the seat back: http://i.imgur.com/rTO8O.jpg. It looks quaint, and it's everywhere, and I kept wondering, what's the use case? What misfits did the designer consider in building it? I could try to think up a few scenarios, but it's deeply unsatisfying to me to not know. I'd love to live in a world where I can query objects I interact with for their creators, their antecedents, the design process they went through. What was the designer optimizing for? I have no idea how to do this for the real world, but perhaps one can take a stab at this for software? I think if we were better at communicating and managing the design choices made by our various software 'abstractions' we wouldn't need them to be abstractions anymore. http://www.amazon.com/Notes-Synthesis-Form-Harvard-Paperback.... If you haven't yet read this slim volume, I'd make it your #1 priority this year. To answer your question about the chair - it's seating for a church or chapel. Prayer books and hymnals are kept in the pocket on the back for the use of the people in the row behind. Ah, many thanks! I now imagine one of the many ancient, stark, beautiful churches that dot London getting rid of their ancient chairs somehow, to be eventually purchased at discount by hipster coffee shops, resulting in unbelievers like me being able to enjoy them. This mental image connects up several memories of my trip, and immeasurably enriches my world.